Sierra successfully increases her strength! Sierra has been doing well since we last checked-in. 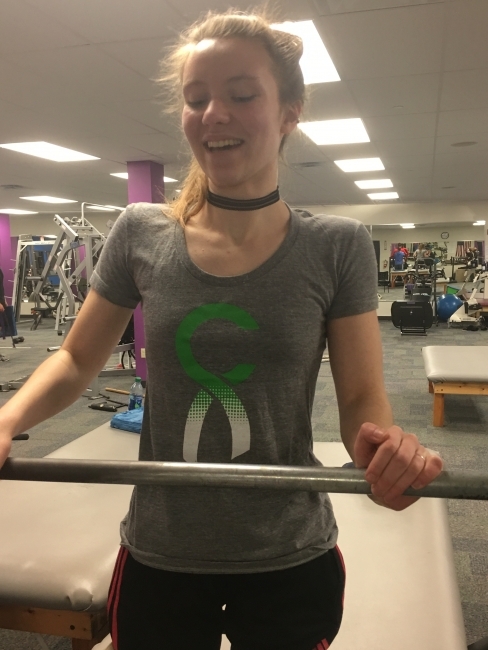 Sierra graduated from high school in June and has resumed her physical therapy regime at Journey Forward after a brief break to focus on her studies. Journey Forward is a non-profit organization dedicated to bettering the lives of those with spinal cord injuries or disability. Sierra travels twice a week to her appointments and has been working extremely hard to increase her strength. She is now able to crawl without assistance and can peddle a stationary bicycle forward and backwards! This takes a great deal of concentration and core strength that Sierra has been working on for many months now.